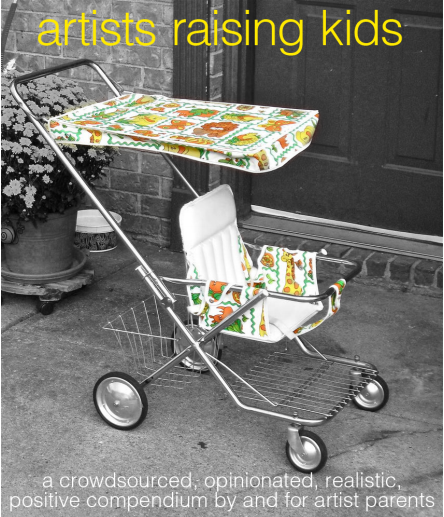 "A crowdsources, opinionated, realistic, positive compendium for artist parents"
"Artists Raising Kids is a collection thoughts and tactics from artist parents. We surveyed 130 artist parents, interviewed a group of parent in-depth, and hosted a workshop/conversation in Philadelphia with 50 parents (and 20 kids). This is not a comprehensive, data-driven study; it’s more like a zine or an edited discussion forum. To be honest, this is the booklet that, as an artist parent with two kids and an artist spouse, I wanted to read." 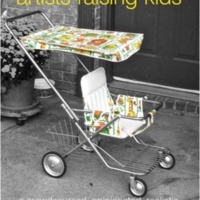 “Artists Raising Kids Compendium,” Artist Parent Index , accessed April 22, 2019, http://www.artistparentindex.com/items/show/193.